How well do you really know the folks you think you know? My investigations often show me the seamy underbelly of school life, but this case threw me for a loop. Folks I thought were the salt of the earth turned out to be the scum of the pond. And lowdown punks turned out to be nice guys. Against all odds, I followed the tangled trail of clues to a conclusion that was nuttier than a squirrel’s sundae and riskier than a playdate in a piranha’s swimming pool. 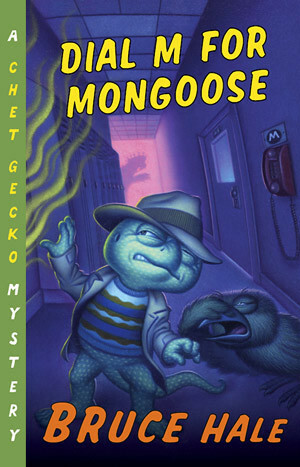 One thing I learned: when you want your floors waxed, dial M for mongoose. 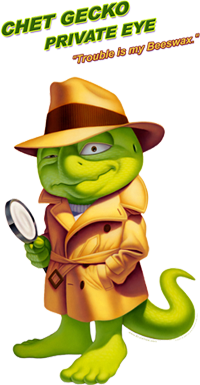 But when you want danger, deception, and mysteries unraveled, dial G for Gecko. A choice series for reluctant readers.